One of the hottest topics in the Premier League in recent years has been the amount of minutes – or lack thereof – of football given to homegrown English players. While the national team has recently seen more success under Gareth Southgate – reaching the semi-finals of the 2018 World Cup and the finals of the 2018/19 UEFA Nations League – the issue of English players struggling for first team football simply won’t go away. Put simply, the Premier League is now a global brand with clubs such as Chelsea, Manchester City and Wolves all owned by overseas businessmen and companies – meaning the number of English players being picked by England’s top clubs is no longer that high on the agenda for them. A handful of Premier League clubs still routinely select English players as the core of their squad, though – and the following 5 teams have given the most minutes to English players thus far in 2018/19. Sean Dyche’s Burnley team top the list when it comes to Premier League minutes given to English players, with 68% of the minutes in their 26 league fixtures taken. In fact, their 6 most-used players – Ben Mee, Jack Cork, Charlie Taylor, James Tarkowski, Ashley Westwood and Joe Hart – all hail from England. The statistic comes as no surprise when you consider that of Burnley’s 23-man squad, only 10 of them come from other countries. 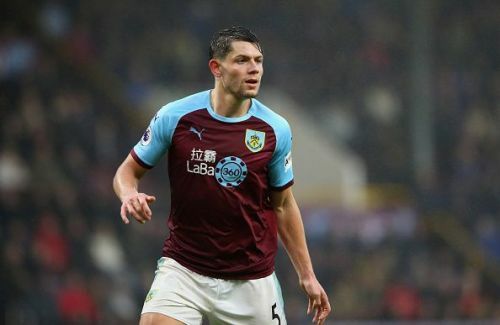 If we were looking at minutes given to British players, Burnley’s percentage would probably be even higher; Ireland’s Jeff Hendrick, Robbie Brady, Kevin Long, and Stephen Ward, as well as Scotland’s Phil Bardsley and Wales’ Sam Vokes (who is now on loan at Stoke), have also made plenty of appearances this season. The Clarets might not be the most fashionable side in the Premier League – and to be quite frank they’re not doing brilliantly, sitting in 15th place just 3 points above the relegation zone – but they do have a member of Gareth Southgate’s England World Cup squad in goalkeeper Nick Pope, and in Tarkowski, Hart, Cork and Tom Heaton, another 4 players who have been capped recently. Former England internationals Peter Crouch and Aaron Lennon also call Turf Moor their home.